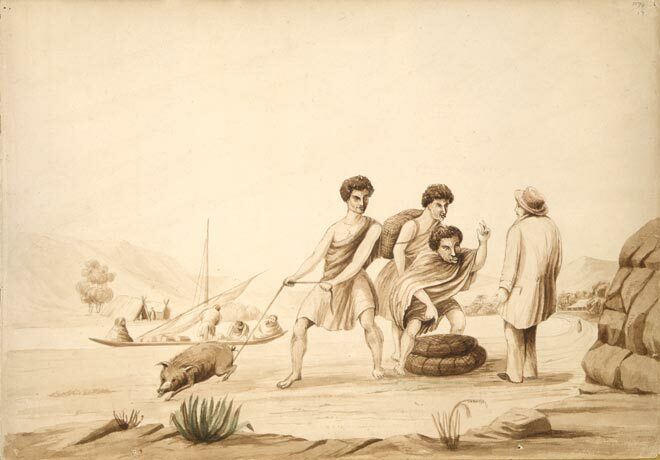 This image, from around 1845, is of Māori in the Bay of Islands. They are depicted as great traders, which they were. The early missionary Samuel Marsden likened the Māori to Jews, because of their ‘great natural turn for traffic’. This notion set off a hunt for Semitic origins of Māori.